I recently re-engineered the data processing behind OpenTrees.org. It’s a website that lets you explore the combined open tree databases of 21 local councils around Australia (over 800,000! ), with some pretty data visualisations. Working on this site has taught me a lot about processing data into vector tiles. Today’s lesson: “You might not need PostGIS”. Trees from Melbourne, Hobson’s Bay and Brimbank. The architecture of v1 looked like this: (See “OpenTrees.org: how to aggregate 373,000 trees from 9 open data sources“). Configuration file in JSON stores the location of each source file. Bash scripts using JQ (yes, really) to run wget, ogr2ogr and psql to fetch, convert and load each datafile into PostGIS. SQL scripts to merge and clean the datasets together into a single schema. 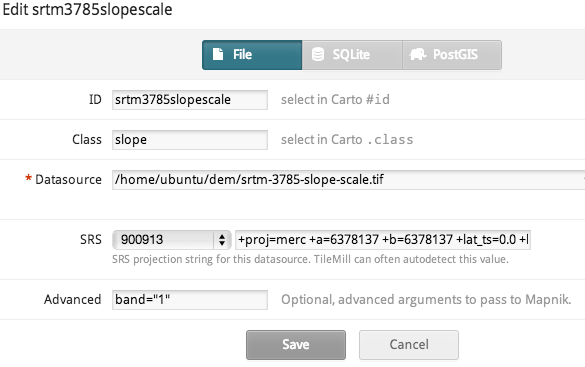 Tilemill to generate raster tiles from the data. PGRestAPI to provide a queryable interface to the data (particularly to allow the map to zoom to a particular tree by ID). Nginx serving the front end, built with Mapbox.js (a wrapper around Leaflet). It worked fairly well, but with the huge disadvantage of having to host a web-accessible server, complete with database. When I lost access to my free hosting, I re-architected it using Mapbox-GL-JS: v2. Same scripts to fetch and process data into PostGIS. More scripts which export data out of PostGIS and call Tippecanoe to generate vector tiles, which I then upload to Mapbox.com. Brand new front-end built using Mapbox-GL-JS, with some clever new data visualisation, such as visualising by “rarity”. No PGRestAPI. Clicking on a tree updates the URL to include its lat/long, so you have a shareable link that will go to that tree. Front end hosted on Github Pages. Now we don’t need a server (Github Pages and Mapbox are serving everything we need, and are free). But we still have the heavy dependency of PostGIS. Do we really need PostGIS? And then finally we just dump the whole table out to disk. I began trying to replace it with Spatialite, but that didn’t seem to play very nicely with NodeJS for me. As soon as it got fiddly, the benefits of using it over Postgres began to disappear. And why did I even need it? Mostly because I already had scripts in SQL and just didn’t want to rewrite them. It’s a big, heavy dependency which discourages any other contributors. Instead of loading Shapefiles into PostGIS, I convert everything into GeoJSON. Instead of SQL “merge” scripts, a NodeJS script processes each tree then writes them all out as a single, line-delimited GeoJSON file. Tippecanoe then operates on that file to generate vector tiles, which I upload to Mapbox. Split the repository in two: one for the data processing (“opentrees-data“), and a separate one for the front end (“opentrees“). This seems to be a good pattern. 1-gettrees.js uses a configuration file to fetch datasets from predefined locations and save them, in whatever formats, in a standard place. 2-loadtrees.js converts each of these files into a geojson file using OGR2OGR. 3-processFiles.js loads each of these, processing all the individual trees into a standard schema, then writes out a single combined line-delimited GeoJSON. 4-vectorTiles.sh uses Tippecanoe to generate an mbtiles from the GeoJSON. For now, each GeoJSON file is loaded entirely in one synchronous load operation. In NodeJS, our “process each tree once” workflow can’t support this. After processing them once (counting species as we go), we process them all again to attach the species count attribute. If we were doing a lot of statistics, possibly PostGIS would start to look attractive again. Do we really need OGR2OGR? The next dependency I would like to remove is OGR2OGR. It is there because datasets arrive in formats I can’t control (primarily CSV, Shapefile, GeoJSON). I love using Mike Bostock’s shapefile library, but it doesn’t currently support projections other than EPSG:4326. That’s not a showstopper, just more work. It would also be great not to have to maintain VRT files (in XML!) to describe the CSV formats in which data arrives. For my next web mapping project, we’ll use vector tiles. Great. And the data will come from OpenStreetMap. Excellent. Now you only have five more questions to answer. For the front-end web application developer who wants to stick a map in their site, vector tiles open up lots of options and flexibility, but also lots of choices. Style: how will you tell the display engine what colour to draw each thing in the schema? Data schema: what kinds of data are contained in the tiles, what are the layers called, and what are the attributes available? Tile transport: how will the engine know where to get each tile from? File format: how is the data translated into bytes to store within a tile file? Tile transport: the so-called “XYZ” (technically, ZXY) convention of serving up tiled web maps (vector or raster) by simple HTTP has pretty much taken over. There’s a lot of convention baked in here, including the “Google Web Mercator” projection. Which leaves three decisions to make. There are several viable options for displaying your vector tiles, depending on whether you also want to display raster tiles or need creative styling, if WebGL (IE11+ only) is ok, and what else you need to integrate with. 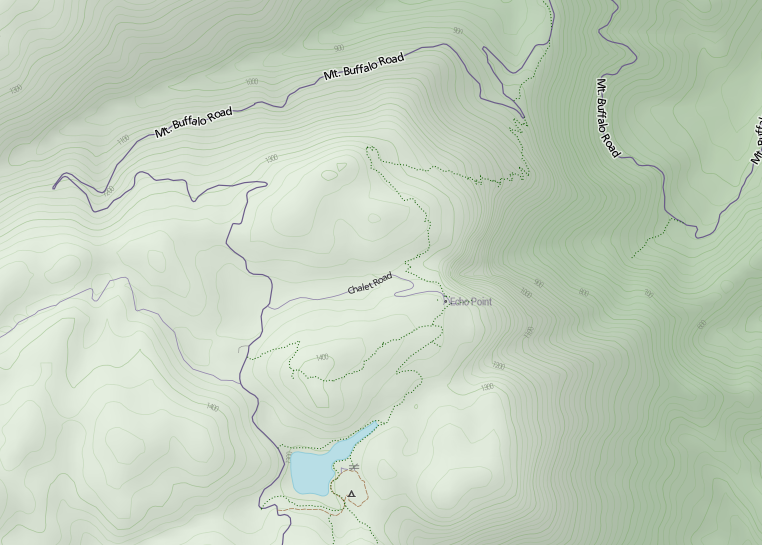 Mapbox Terrain, a style rendered with Mapbox-GL-JS. Mapbox-GL-JS: the industry leader, made by Mapbox, uses webGL, focused on the needs of mass-market maps for large web companies. It has excellent documentation, great examples and very active development. Tangram: made by Mapzen, also uses WebGL, has more experimental and creative features like custom shaders. There are other combinations as well, such as Leaflet.VectorGrid. The style mechanism tends to be closely tied to the display engine. (That was also true of CartoCSS, which was a pre-processor for Mapnik. RIP). Mapbox Style Specification is a single JSON file which defines sources (vector tiles, GeoJSON files, raster tiles etc) and their display as layers (circles, fills, lines, text, icons etc), including properties that depend on zoom and/or data values. It also has some fiddly details for displaying custom fonts and symbols. Supported by Mapbox-GL-JS and Mapbox.js, but no third-party front-end libraries that I’m aware of. (Geoserver, a Java-based web application seems to have support.) Styles can be created with Mapbox Studio, Maputnik (free, open source) or by hand. Tangram scene file, a YAML format which covers a bit more than just styling data, such as cameras and lighting. Finally, there are three distinct, well-defined schemas for packaging OpenStreetMap data into vector tiles. There doesn’t seem to be a formal specification for how you define a schema, so each is presented as documentation: a list of layers, each with a list of attributes (and their possible values), and at which zoom levels they appear. Dark Matter, a Mapbox Style for OpenMapTiles. Now, the style needs to be designed for the schema: if the schema contains a layer called “roads”, your style can’t be expecting a layer called “transportation”. But it also needs to be expressed in the right format supported by the engine: don’t go feeding no YAML to Mapbox-GL-JS. Tron, a highly stylised style from Mapzen for Tangram. Cinnabar uses the Mapzen schema, and is expressed as a Tangram scene file. (Other Mapzen styles include Bubble Wrap, Tron, Zinc, Walkabout and Refill). Klokantech Basic uses the OpenMapTiles schema, and is expressed in Mapbox-GL-JS. (Other OpenMapTiles styles include Positron, Dark Matter, OSM Bright, Toner and Fjord Color). Tilezen uses Mapzen’s schema, but is rendered with Mapbox-GL-JS. Demo. (There are also Mapzen examples for OpenLayers and D3). This token effort by Mapbox achieves the same thing. 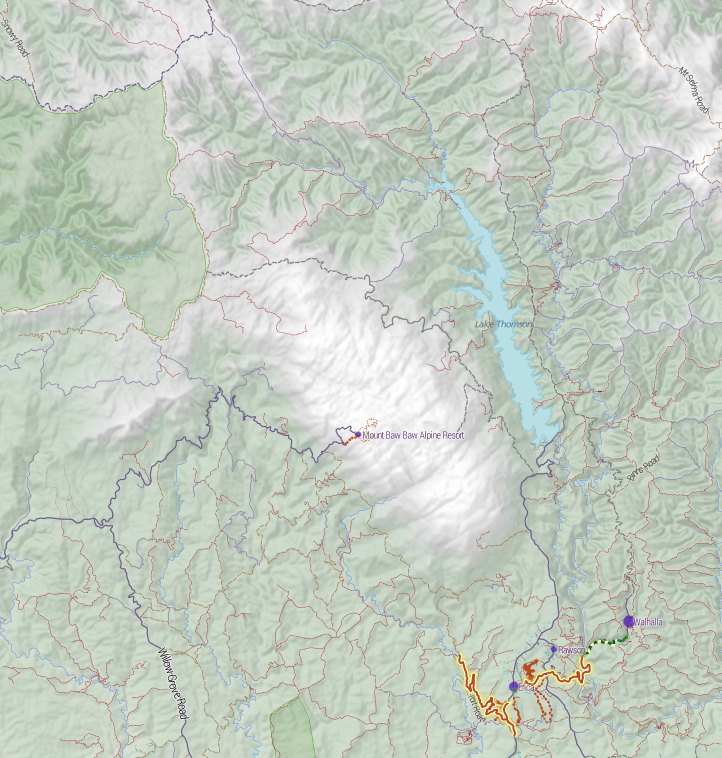 This example uses OpenMapTiles, rendered using Tangram. Which brings us to the point of this post. How do you mix schemas and styles? That is, how do you take a style you designed for Mapbox Streets, and make it work on OpenMapTiles? Or port one of Mapzen’s kooky open-licensed styles so it works with Mapbox Streets? Well, you can’t – yet. But adapting a Mapbox Style file from one OpenStreetMap schema to another? That seems totally doable – even if there isn’t yet a tool to make that happen. 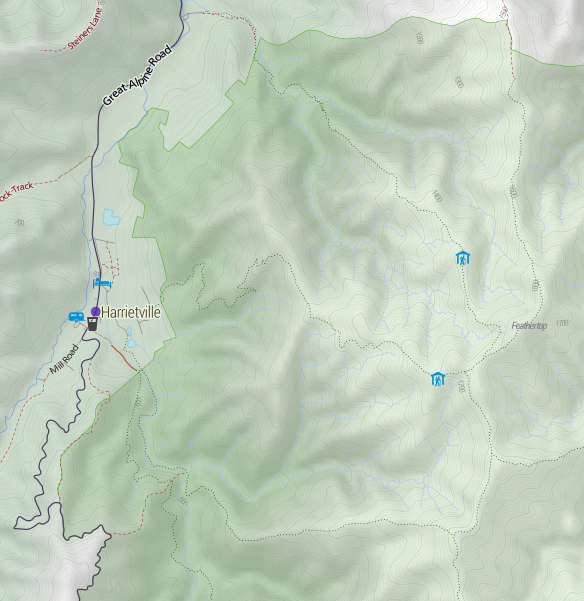 My quick little proof of concept in NodeJS converted OpenMapTiles’ “OSM Bright” style (left) to versions for Mapbox Streets (centre) and Mapzen (right). Want to give me a hand? Get in touch! I try to convince government bodies, especially local councils, to publish more open data. It’s much easier when there is a concrete benefit to point to: if you publish your tree inventory, it could be joined up with all the other councils’ tree inventories, to make some kind of big tree-explorey interface thing. Introducing: opentrees.org. It’s fun! Click on “interesting trees”, hover over a few, and click on the ones that take your fancy. You can play for ages. Through a bit of searching on data.gov.au, I found tree inventories (normally called “Geelong street trees” or similar) for: Geelong, Ballarat (both participating in OpenCouncilData), Corangamite (I visited last year), Colac-Otways (friends of Corangamite), Wyndham (a surprise! ), Manningham (total surprise). It showed two results from data.sa.gov.au: Adelaide, and the Waite Arboretum (in Adelaide). 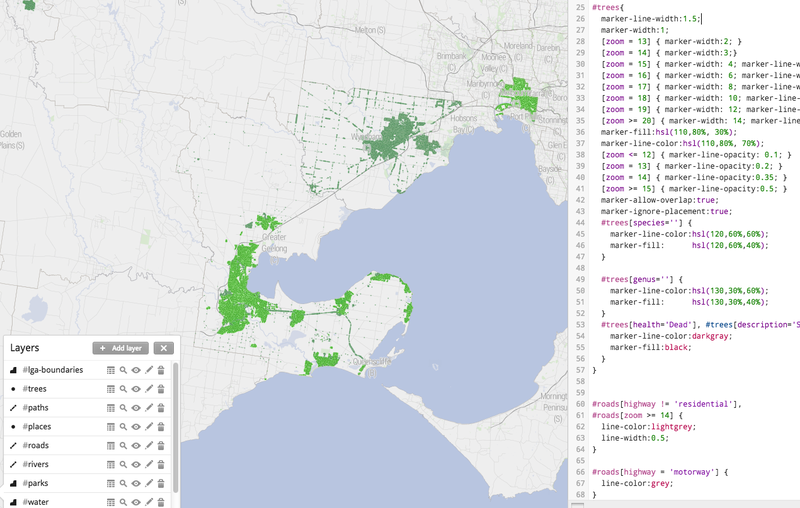 Plus the City of Melbourne’s (open data pioneers) “Urban Forest” dataset on data.melbourne.vic.gov.au. CSV for Melbourne and Adelaide. Socrata has a “JSON” export, but it’s not GeoJSON. Wyndham has a GeoJSON, but for some reason the data is represented as “MultiPoint”, rather than “Point”, which GDAL couldn’t handle. They also have a CSV, which are also very weird, with an embedded WKT geometry (also MULTIPOINT), in a projected (probably UTM) format. There are also several blank columns. Waite Arboretum’s data is in zipped Shapefile and KML. KML is the worst, because it seems to have attributes encoded as HTML, so I used the Shapefile. Set the target table geometry type to be “GEOMETRY”, rather than letting it choose a more specific type like POINT or MULTIPOINT. This makes it easier to combine layers later. 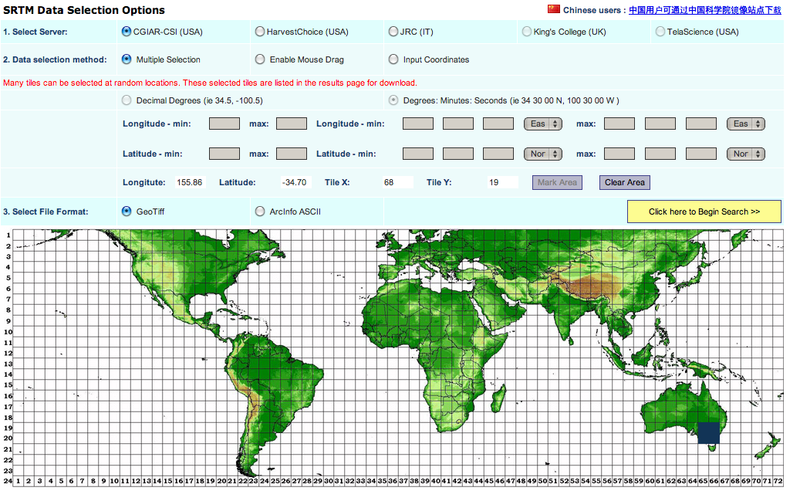 Re-project all geometry to Web Mercator (EPSG:3857) when you load. Save yourself pain. Tip for data providers #2: Provide all data in unprojected (latitude/longitude) coordinates by preference, or Web Mercator (EPSG:3857). Tip for data providers #3: Follow the opencouncildata.org standards, and participate in the process. We also want to split scientific names into individual genus and species fields, handle varieties, sub-species and so on. Then there are the typos which, due to some quirk in tree management software, become faithfully and consistently retained across a whole dataset. This results in hundreds of Angpohoras, Qurecuses, Botlebrushes etc. We also need to turn non-values (“Not assessed”, “Unknown”, “Unidentified”) into actual NULL values. I use TileMill to make web maps. For this project it has a killer feature: the ability to pre-render a map of hundreds of thousands of points, and allow the user to interact with those points, without exploding the browser. That’s incredibly clever. Having complete control of the cartography is also great, and looks much better than, say, dumping a bunch of points on a Google Map. As far as TileMill maps goes, it’s very conventional. I add a PostGIS layer for the tree points, plus layers for other features such as roads, rivers and parks, pointing to an OpenStreetMap database I already had loaded. Also show the names of the local government areas with their boundaries, which fade out and disappear as you zoom in. My style is intentionally all about the trees. There are some very discreet roads and footpaths to serve as landmarks, but they’re very subdued. I use colour (from green to grey) to indicate when species and/or genus information is missing. The Waite Arboretum data has polygons for (I presume) crown coverage, which I show as a semi-opaque dark green. Source code for the TileMill CartoCSS style. OpenStreetMap trees, showing “natural=tree” objects in OpenStreetMap. The data is very sketchy. This kind of data is something that councils collect much better than OpenStreetMap. Interesting trees. I compute the “interestingness” of a tree by calculating the number of other trees in the total database of the same species. A tree in a set of 5 or less is very interesting (red), 25 or less is somewhat interesting (yellow). The base CSS is Twitter Bootstrap, mostly because I don’t know any better. Mapbox.js handles the interactivity, but I intercept clicks (map.gridLayer.on) to look up the species and genus on Wikipedia. It’s straightforward using JQuery but I found it fiddly due to unfamiliarity. The Wikipedia API is surprisingly rough, and doesn’t have a proper page of its own – there’s the MediaWiki API page, the Wikipedia API Sandbox, and this useful StackOverflow question which that community helpfully shut down as a service to humanity. To make embedding the page in other sites (such as Open Council Data trees) work better, the “?embed” URL parameter hides the titlebar. I found the fonts (the title font is “Lancelot“) on Adobe Edge. The header background combines the forces of subtlepatterns.com and px64.net. Source code for treesmap.html, treesmap.js, treesmap.css. # Redirect to TileLive. If tile not found, redirect to TileMill. A really obvious feature would be to show native and introduced species in different colours. Try as I might, I could not find any database with this information. There are numerous online plant databases, but none seemed to have this information in a way I could access. If you have ideas, I’d love to hear from you. It would also be great to make a great mobile app, so you can easily answer the question “what is this tree in front of me”, and who knows what else. Please release datasets such as tree inventories, garbage collection locations and times, and customer service centres, following the open standards at opencouncildata.org. We’ll do our best to make fun, interesting and useful things with them. 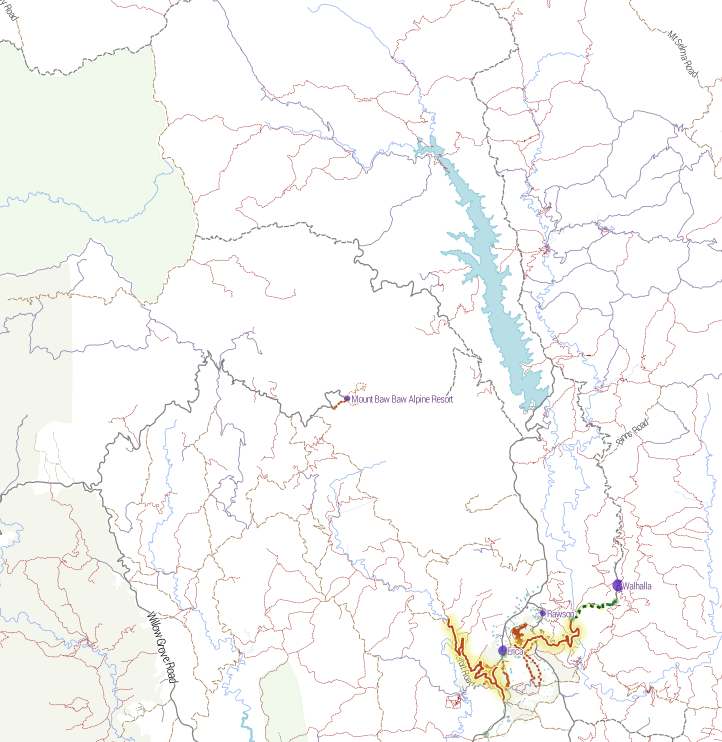 I created a basemap for http://cycletour.org with TileMill and OpenStreetMap. It looked…ok. My setup is an 8 core Ubuntu VM with 32GB RAM and lots of disk space. I have OpenStreetMap loaded into PostGIS. You need to do this if you want to use the raster-colorizer. You want this while developing your terrain style, if you want the “snow up high, green valleys below” look. Without it, you have to pre-render the elevation color effect, which is time consuming. If you want to tweak anything (say, to move the snow line slightly), you need to re-render all the tiles. Probably uncomment the mapnik-from-source line (and comment out the other one). I don’t know whether you need the latest mapnik. Run it. Oh – it will uninstall your existing TileMill. Watch out for that. Reassemble stuff. The dev version puts projects in ~/Documents/<username/MapBox/project which is weird. 2. Get some terrain data. The easiest place is the ubiquitous NASA SRTM DEM (digital elevation model) data. You get it from CGIAR. The user interface is awful. You can only download pieces that are 5 degrees by 5 degrees, so Victoria is 4 pieces. 3. Process SRTM .tifs with GDAL. The heightmap itself, so you can colour high elevations differently from low ones. A “hillshading” layer, where southeast facing slopes are dark, and northwest ones are light. This is what produces the “terrain” illusion. A “slopeshading” layer, where steep slopes (regardless of aspect) are dark. I’m ambivalent about how useful this is, but you’ll want to play with it. Contours. These can make your map look AMAZING. Contours – they’re the best. Merge all the .tif’s into one. (I made the mistake of keeping them separate, which makes a lot of extra layers in TileMill). Because they’re GeoTiffs, GDAL can magically merge them without further instruction. A bit of scaling here and there. Generating .tif “overviews”, which are basically smaller versions of the tifs stored inside the same file, so that TileMill doesn’t explode. Hopefully you already have GDAL installed. It probably came with the development version of TileMill. echo -n "Merging files: "
echo -n "Generating hill shading: "
echo -n "Generating slope files: "
echo -n "Translating to 0-90..."
I’m exaggerating the hillshading by a factor of 5 vertically (“-z 5”). For no particularly good reason. Contours are generated at 20m intervals (“-i 20”). Terrain is scaled in the range -10 to 2000m. Probably an even lower lower bound would be better (you’d be surprised how much terrain is below sea levels – especially coal mines.) Excessively low terrain results in holes that can’t be styled and turn up white. srtm-3785-contour.shp – the shapefile containing all the contours. srtm-3785-hs.tif – the hillshading file. srtm-3785-slope-scale.tif – the scaled slope shading file. For each of these, you must set the projection to 900913 (that’s how you spell GOOGLE in numbers). For the three ‘tifs’, set band=1 in the “advanced” box. I gather that GeoTiffs can have multiple bands of data, and this is the band where TileMill expects to find numeric data to apply colour to. Very slight differences in opacity when stacking terrain layers make a huge impact on the appearance of your map. Changing the colour of a road doesn’t make that much difference, but with raster data, a slight change can affect every single pixel. There are lots of different raster-comp-ops to try out, but ‘multiply’ is a good default. (Remember, order matters). // if using the srtm-3785-scale.tif file, these stops should be in the range 0-255. And finally a gratuitous shot of Mt Feathertop, showing the major approaches and the two huts: MUMC Hut to the north and Federation Hut further south. Terrain is awesome!